A still from Jason X. In the movies, Jason Voorhees always came back. But at the theater, his resurrection is becoming increasingly difficult. For the fourth time, the Friday the 13th reboot has been delayed. The Wrap reports, and io9 confirmed, that Paramount has taken both the Friday the 13th sequel (originally slated for October 13) and World War Z sequel (June 9) off its release schedule. The latter was a no-brainer. Though lots of work has been done on a sequel to the 2013 Brad Pitt hit, it doesn’t even have a director at the moment, let alone any footage shot. Clearly, there was no way it was coming out in four months—I didn’t even put it on my 2017 preview. Friday the 13th is a different story. Originally scheduled for 2015, then 2016, then early 2017, Friday, October 13, 2017 seemed like the perfect release date for the 13th film in the iconic horror series. Especially when a new direction emerged, the producers promised it was still happening, and they talked about its story. On the positive side, though, if the movie isn’t ready—in other words, if what they have isn’t going to be the best movie possible—delaying is always the best thing to do. 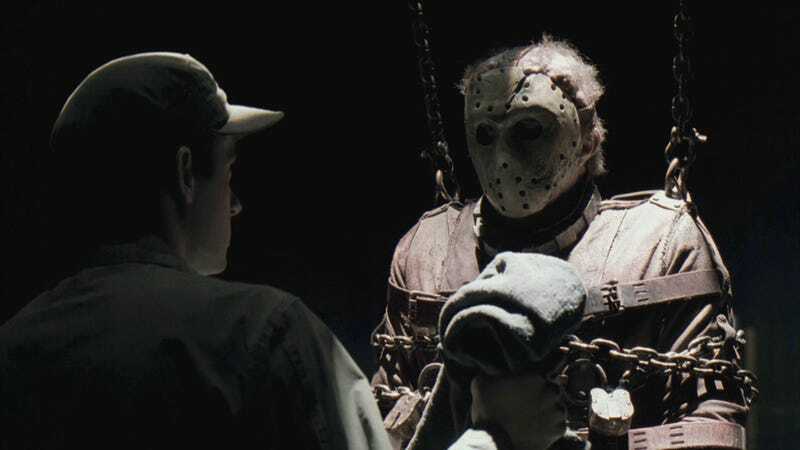 Jason Voorhees is a beloved character and if you are going to bring him back, it’s best to do it right. Neither film was given another release date. Update: Bloody Disgusting reports the Friday the 13th film wasn’t just delayed, the entire production was shut down. That suggests it won’t be back on the release schedule anytime soon. That could be Jason’s final Friday.